Beautiful, innovative and creative. 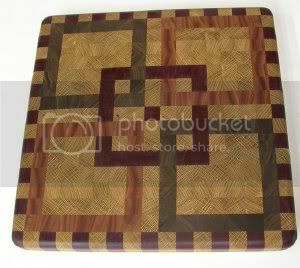 These cutting board designs and tutorials from Mike Schwing are incredible. Schwing put these together for the SawmillCreek.org woodworking community. Gorgeous, huh? He’s also made one based on a quilt square that is astounding too. Vaughn’s a seasoned yet still friendly moderator over at FamilyWoodworking, a favorite woodworking forum of mine that started up as an alternative to SawmillCreek.org. 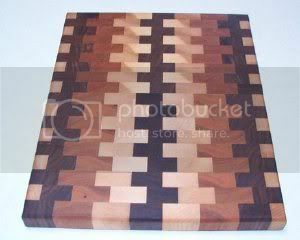 Since we started with mostly end grain cutting boards I thought I’d finish with them first rather than rushing into the laminated long grains… Enjoy! 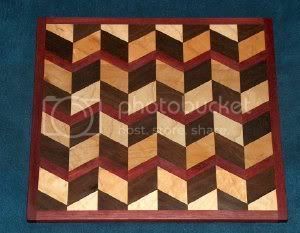 This design comes from the cutting board that Marc Spagnuolo made in Episode 7 “A Cut Above…” The plan itself is courtesy of Ron Jones. No pictures, just written advice. Solid though. 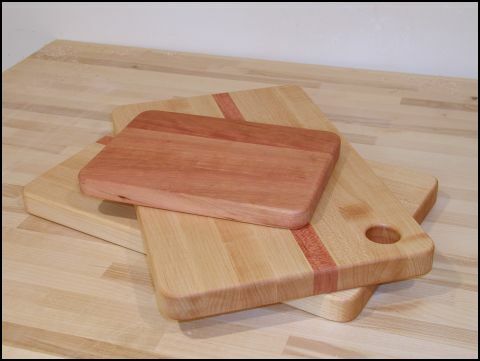 Simple, pretty cutting boards made of maple and cherry. Definitely not the best guide, but hey maybe you’ll get something out of his description? Gorgeous, huh? 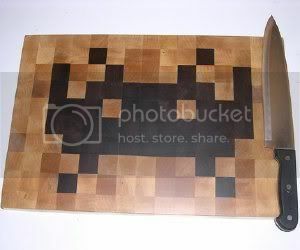 Who said that the end grain cutting boards had all the fun? Another great guide from Lee. Mostly these use one piece of wood. These are great places for brand new woodworkers to start. Very simple. Good basic ideas and suggestions. From Chris Baylor. 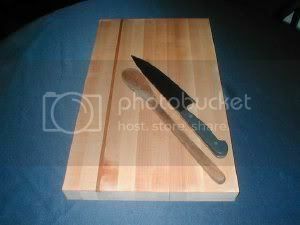 Wood suggestions, basic instructions on the care of a cutting board. Decent instruction. A little weak on illustrations though. 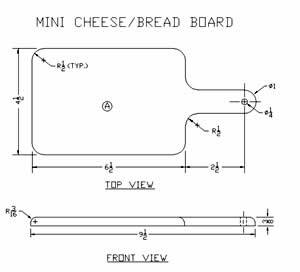 Rolling cutting boards, cutting boards designed to fit around your favorite bowl, cutting boards that defied my other categories… You’ll find them all here! Nice! 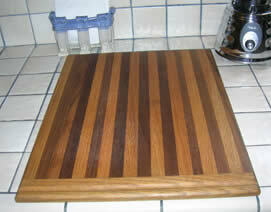 This is one cutting board that aint goin nowhere. It’s a solid piece that sports a cutout so that it’s easy to move your choppings into a bowl with out a mess. Wow. No pictures for this one… Decent description. Browse through these galleries for inspiration (if you haven’t gotten enough already). Designs by John McLeod Ltd. If a picture’s worth 1000 words then a video’s worth 10,000. Here are some great how-to videos from YouTube. LENOX introduces Speed Slot, the best hole saw ever, and you heard about it first at Toolcrib.com. 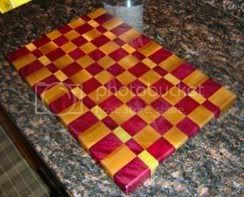 What neat cutting board ideas. My wife has been after me to go buy a new cutting board. 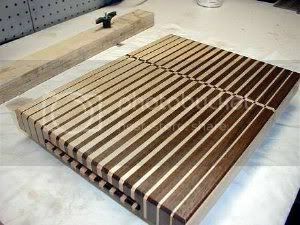 But I think these boards look fairly easy to make yourself so that is what I will try first.